Sam Sayers, 28, of Seattle, has been missing since Aug. 1 after going on a solo hike at Vesper Peak in the North Cascades. 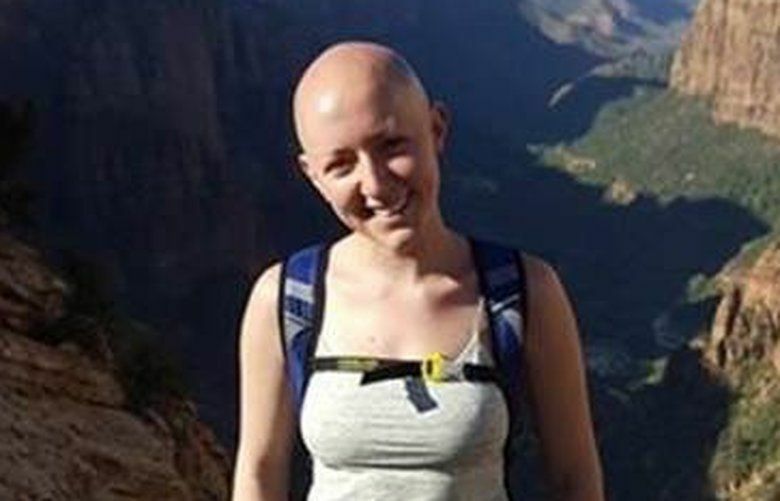 Sam Sayers, 28, went missing on Aug. 1 after going on a solo hike. The Snohomish County Sheriff’s Office has called off a search for a missing Seattle woman after three weeks of scouring the North Cascades near Vesper Peak, according to a news release. Samantha “Sam” Sayers, 28, described by family as an experienced day hiker, went missing on Aug. 1 after reportedly going on a solo hike on the Vesper Peak trail. She was expected to head home and check in with her boyfriend that night, but didn’t return. Her car was found parked at the trailhead, 27 miles south of Darrington on the Mountain Loop Highway in the Mount Baker-Snoqualmie National Forest. The subsequent search involved infra-red viewing helicopters, K-9 search teams and hundreds of hours on the ground by the sheriff’s office search-and-rescue teams with help from other agencies, according to the sheriff’s office. At one point, drone operators and the sheriff’s Marine Unit were involved. Volunteer searchers from around the state donated thousands of hours of time, the sheriff’s office said. Kevin Dares, Sayers’ boyfriend, said volunteers will continue to search until the first snowfall if necessary. He said he’s looking at the logistics of setting up a base camp in the mountains. Dares said the family has hired private helicopters and a professional tracker, and will use family funds and donations to hire more trackers and dog teams. Volunteers have helped search the mountains, and members of a Facebook group set up by the family have helped with tasks such as searching through hours of drone video for signs of Sayers. A GoFundMe page for the search has raised more than $39,000 as of Thursday afternoon. The sheriff’s office spoke with witnesses who saw Sayers the day she went missing, but none saw her come back down the trail, according to the news release. Courtney O’Keefe, a communications specialist for the Snohomish County Sheriff’s Office, said that while the search will end, the missing-person’s case won’t be closed. Law enforcement agencies from other counties also assisted, as well as Air Force, Coast Guard and Navy agencies. Every search is taken on a case-by-case basis, O’Keefe said when asked if this amount of resources was typical for missing hiker searches. “In this scenario, the search did go on longer than others just due to not knowing her location,” O’Keefe said. The search for Sayers was one of the longest for the Sheriff’s Office in recent years, O’Keefe told The Seattle Times on Aug. 7. She did not have an estimate for the cost of the search. The Vesper Peak trail has been described as hard to follow by some hikers.